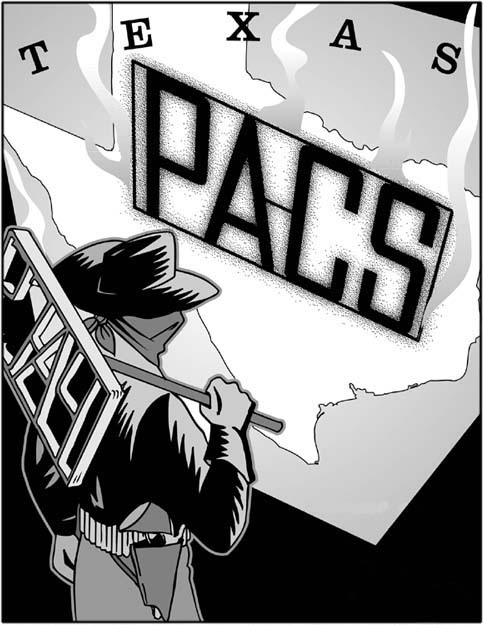 The new report, Texas PACs: 2000 Election Cycle, identifies the biggest PACs in Texas and classifies PACs by their economic and ideological interests. A shrinking number of Texas political action committees (PACs) set a new record by spending $54 million in the 2000 election cycle, the new study reports. This spending was up $2 million over what PACs spent in the 1998 gubernatorial election cycle and increased $11 million over the previous non-gubernatorial cycle in 1996.